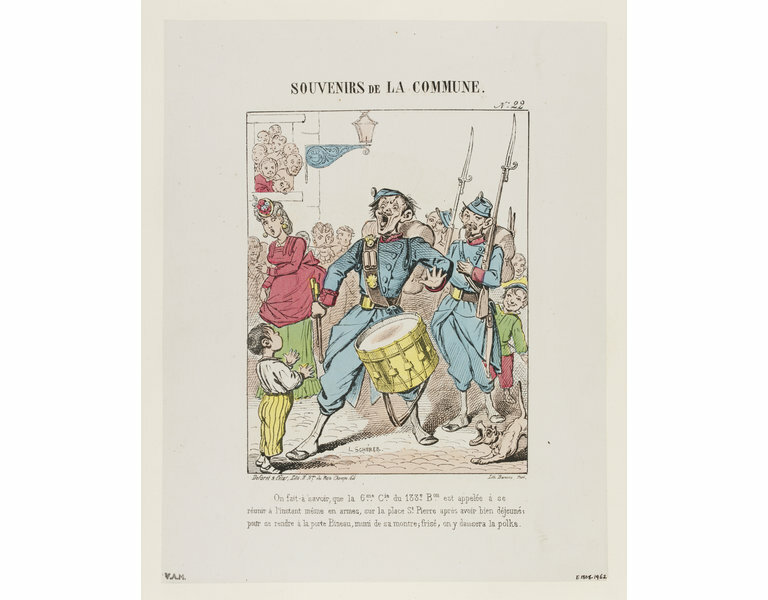 Print depicting a drummer in a Parisian street with a look of surprise on his face. A small child is standing in front of him and a crowd looks on. 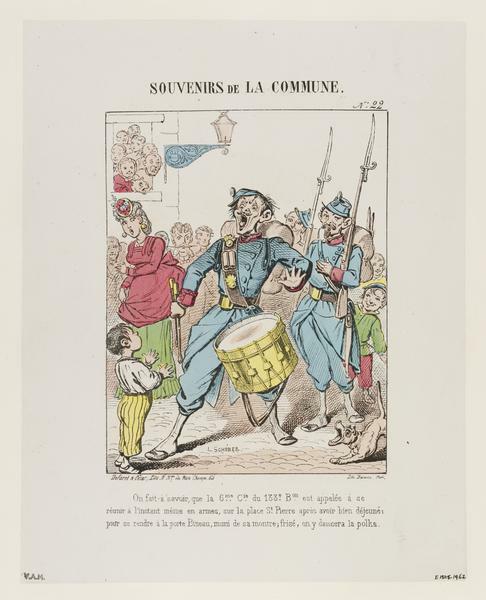 Print from a set of caricatures, broadsheets and illustrations in ten volumes. Each volume is half-bound in red leather, gold tooled and stamped with imperial emblems, title etc. 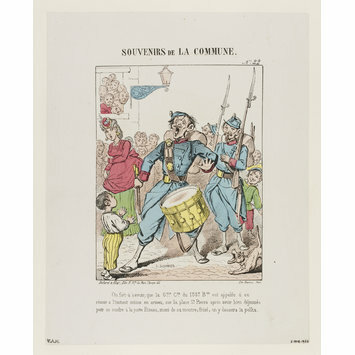 'On fait-à savior...' Satirical illustration by Léonce Schérer depicting a drummer in a Parisian street with a look of surprise on his face. Hand-coloured lithograph, France, 1871.